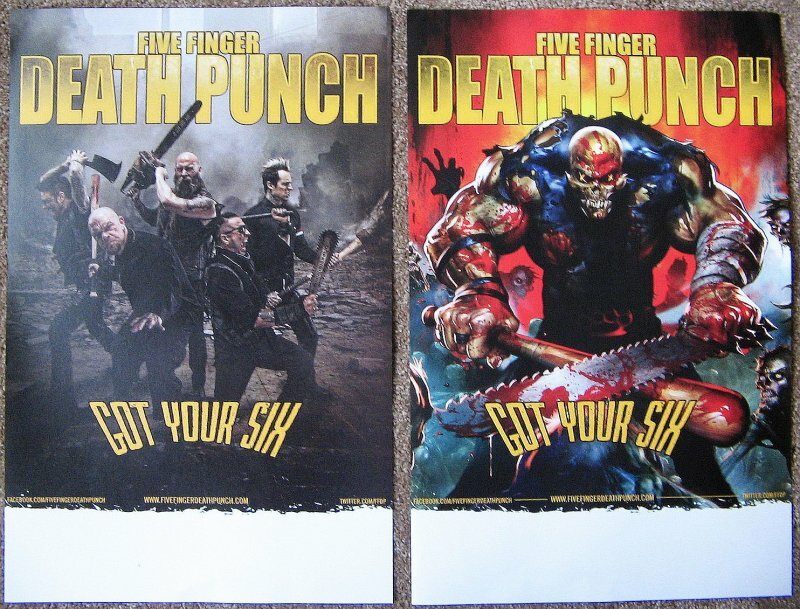 This FIVE FINGER DEATH PUNCH 2-sided advertising poster is hard-to-find. 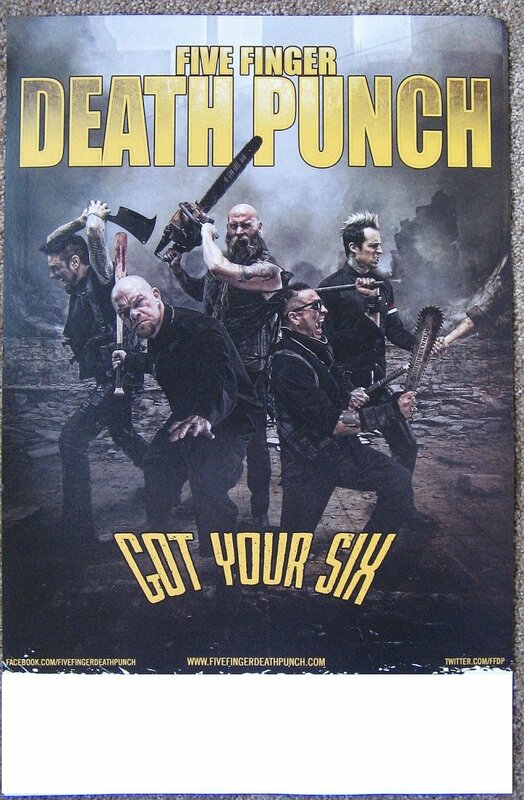 It was NOT available for retail sale, only being used in 2015 at stores to promote their Got Your Six album. 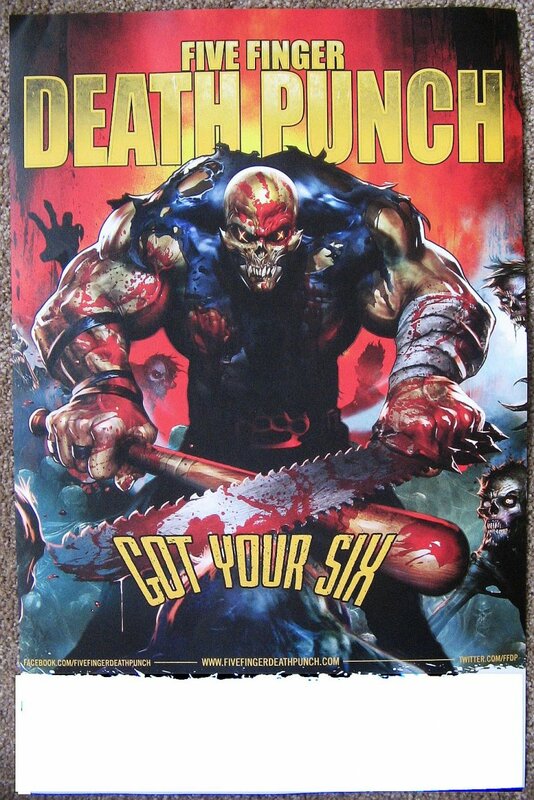 In order to show both sides at once, I am displaying 2 posters BUT each bid is for ONE only. Size is 11" by 17" and it's on heavier stock. Poster is in real nice condition for display, with some light surface creasing. It will be shipped rolled in a sturdy tube.